We’re incredibly excited to announce that our latest update to Drop Assault is now available for download on the Apple iTunes Store and the Google Play Store! If you’re looking for the update on Amazon, please know that it will be available very soon. This update includes a ton of improvements but the most obvious one you’ll notice is an overhaul to the graphics of the game. All buildings and units are now in glorious 3D for your gaming and viewing pleasure. 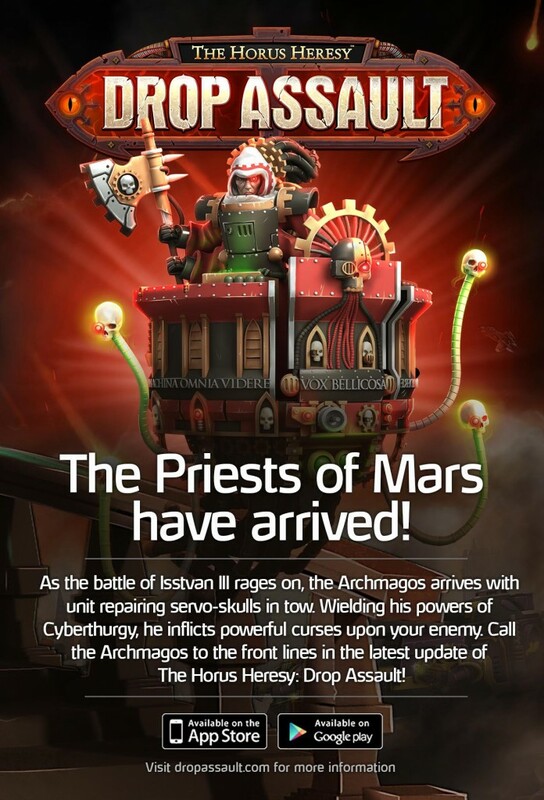 Also, the incredible new Archmagos unit is available in this update. To learn about everything in this update, please check out our Change Log. If you have feedback about this update, we’d love to hear from you. Let us know what you think on our official Facebook page, or hit us up on Twitter.